You are here: Home / Health / DNA; Who’s Your Daddy? (ThyBlackMan.com) What do Senator Elizabeth Warren and Meghan Markle’s yet to be born baby have in common? They were both embroiled in race and ancestry controversies this past week. Senator Warren unveiled a DNA study to back up her claim of Native American ancestry. Presumably, this was to ward off further taunting with the nickname ‘Pocahontas’ as she prepares for a presidential run in 2020. The study, whose findings were that she “probably” had a Native American ancestor somewhere between six and ten generation ago did little, however, to quell the controversy. Notably, the Cherokee Nation said membership in their tribe is based on “heritage” not DNA. Over in England, a television host said that the U.K. royal family was about to welcome its “first black baby” with the birth of an offspring between “mixed race” Markle and Prince Harry. Whereupon a guest on the show countered with the assertion, “how can you call the baby black” when its predominant DNA comes from white ancestry? In a gene pool of 92 chromosomes – 46 each from the mother and father – not more than 23, the contribution of Markle’s black mother to her, would come from so-called black ancestry and be passed along to the baby, constituting at most 25% of its genetic makeup. So Warren, with Native American ancestry going back at least six generations was not “Indian enough” while Meghan’s future baby, and perhaps all of its progeny, would forever be black in some eyes because of the purported “one drop” rule. This is all utter nonsense as “race” is but a social construct, given that all humans on earth today are of the same species: Homo sapiens. The genus ‘Homo’ originated in Africa some 2.5 million years ago. Humans spread across Africa to Eurasia 2 million years ago and along the way evolved into different species like Homo rudolfensis (East Africa), Homo erectus (East Asia) and Homo neanderthalensis (Europe and Western Asia). 200,000 years ago Homo sapiens evolved in East Africa. By 13,000 years ago Homo sapiens was the only surviving human species. If you follow the chronology, all modern humans are descendants of those Homo sapiens who walked out of East Africa some 200,000 years ago. And we have been migrating and mating ever since. According to Robert Green, a leading geneticist, companies like 23andMe and Ancestry.com analyze the “markers in your genome and give you a reasonable sense of the probability you have certain patterns in your DNA that indicate certain heritable traits” (emphasis mine). Notice all the qualifiers. That’s because 99.9% of all human DNA is identical. Something called Single Nucleotide Polymorphisms, SNPs or Snips, are those tiny markers that govern individual things like your height, eye color or predisposition for certain diseases like diabetes or breast cancer. DNA is not the same as heritage or culture. It only defines where your ancestors may have come from, not what language they spoke, what they ate, how they worshiped or other cultural identifiers that have as much, if not more, to do with who you are. So Elizabeth Warren may have some Indian DNA but she was raised as a white American and Meghan and Harry’s child, as a member of the Windsor family, may have “black” DNA but will be otherwise indistinguishable in how he or she speaks for instance, from other members of the British aristocracy. We have to move past accepting or rejecting people based on factors over which they have no control, like who they were born to, and judge them by their actions. That is what America is supposed to be about, a “creedal” nation that accepts all who believe in our founding principles of freedom, justice and equality. 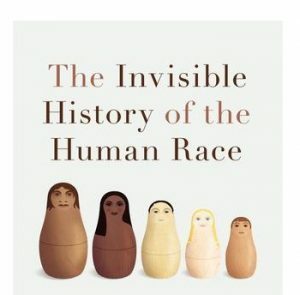 The social construct of race has been used to divide ruling classes from “others” but has no basis in the science of the history of humanity. So be proud of who you are, your family tree, and remember that we are all fruit of the same root.